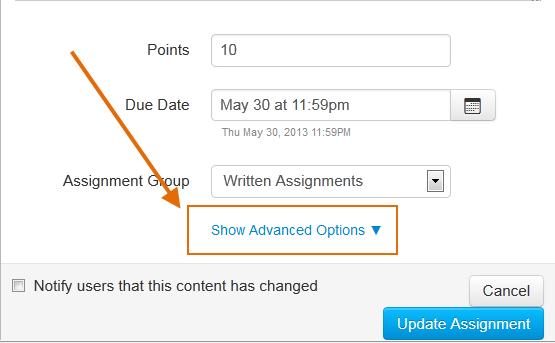 WorldClassRoom FAQs - How do I list assignment details for assignments that are not submitted in Canvas? 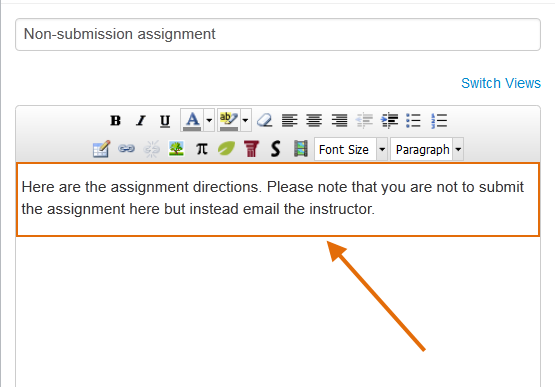 Some assignments may need directions, but are not submitted, or are not submitted through Canvas. To give the assignment details, and to create a grade book column (if necessary) for a non-submitted assignment, use the following steps. 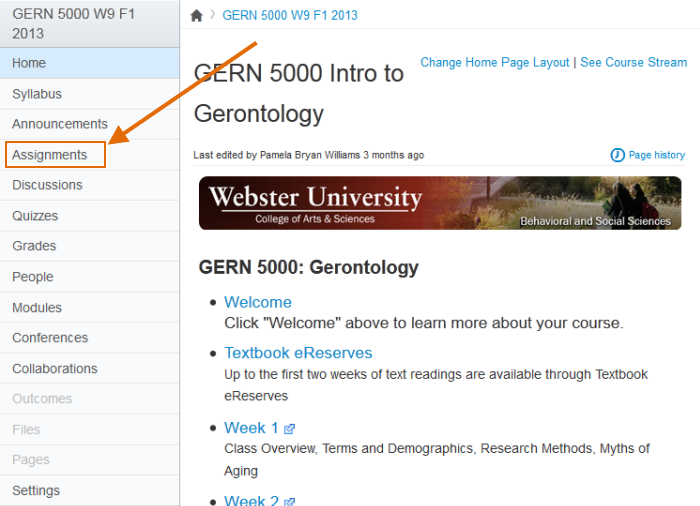 In your course, click on Assignments from the left hand menu. 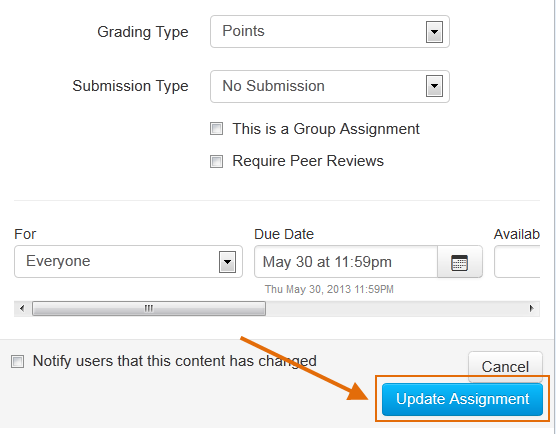 Create a new assignment (or find the assignment you want to edit) and click more options. Add in the directions. Or if you are editing an assignment skip to step 5. If this is a graded assignment you can add or edit the point value. 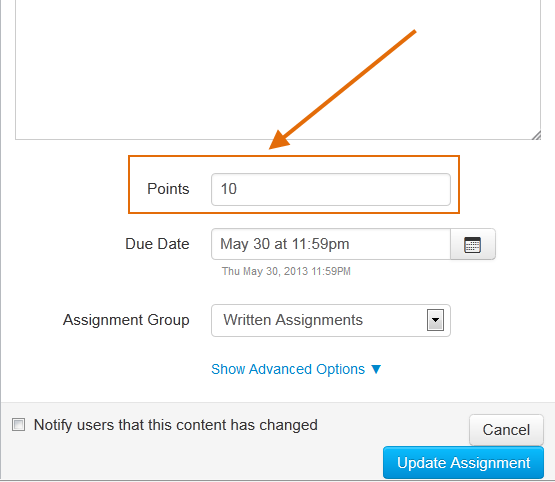 If the assignment is graded you can leave the grading type as points, or you can change it to a non graded assignment. To change the Grading Type, Click the dropdown arrow. Choose Not Graded from the list. For the submission type, click on the drop down menu. From the menu list, choose No Submission.